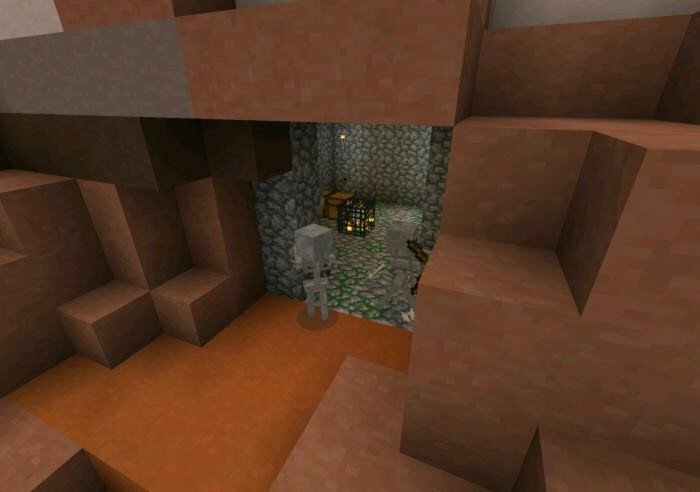 On this seed you can easily find dungeon of the mesa biome not far from the spawn. In the dungeon you will find skeleton spawner and two chests with loot. 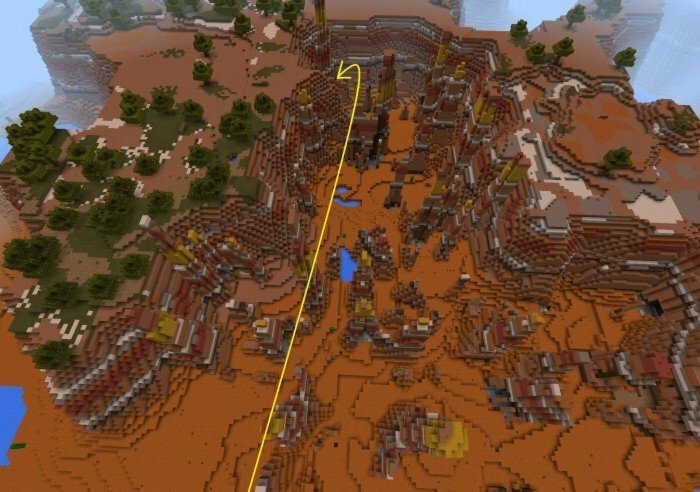 To find the dungeon you need to follow the left side of the mesa mountain - detailed instruction on how to get there, you can see on the image below.